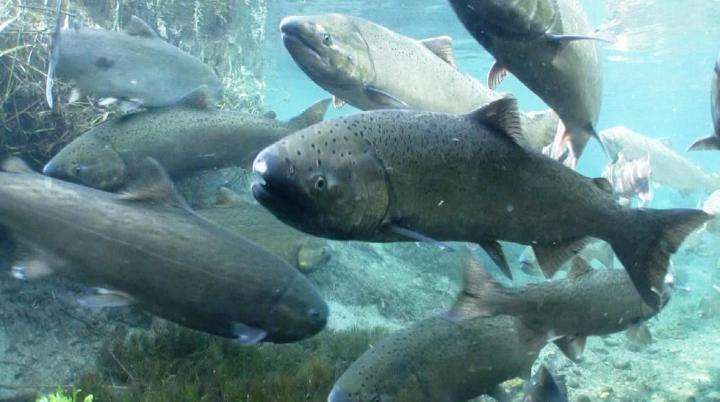 Managers have reduced Lake Michigan stocking levels of Chinook salmon at least three times over the past decades in response to declining prey fish and the natural reproduction of Chinook salmon. Credit: Michael Humling, U.S. Fish and Wildlife Service. Public domain.